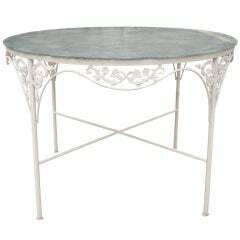 Stylish gilt metal bistro or pub table with white marble top has a metal base with 4 graduated rings. 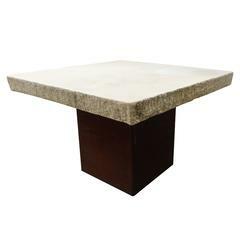 Table can work well in a modern, traditional or casual setting. Can be used indoors or outdoors. 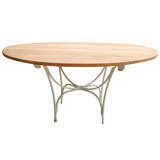 Garden, porch or poolside patio table.